So-called anthology films, made up of multiple shorts based around the same theme, are a staple of the anime industry and are generally created to a) give young directors a chance, b) show off what studios are capable of, or c) keep a director or studio in the public consciousness between full-length features. 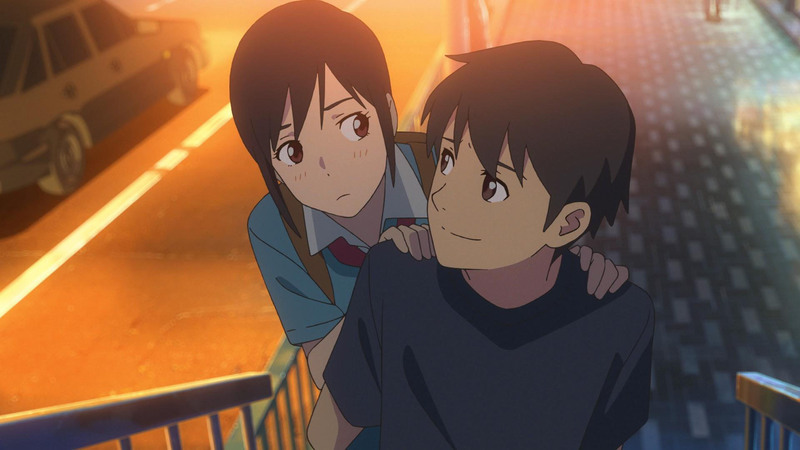 There seems to be a little of all three going on in “Flavors of Youth,” the new anthology that teams Japanese studio CoMix Wave Films with Chinese studio Haoliners. CoMix Wave Films is best known as the home of director Makoto Shinkai (creator of the 2016 smash hit “Your Name.”) while Haoliners is represented by director Li Haoling who brought the “Flavors of Youth” project to CoMix Wave and acted as its chief director. The film is made up of three shorts, each of which takes place in China, and tells the stories of young people trying to reconcile their childhoods with a country changing before their eyes. The first short, “The Rice Noodles” (“Hidamari no Choshoku”), is directed by internet-based filmmaker Yi Xiaoxing in his animation debut. In the short, a young man living in Beijing looks back on his youth in the countryside, in which his most precious memories, such as bonding with his grandmother and staring longingly at his first crush, are indelibly linked with eating bee hoon noodles. It’s a nice sentiment, but an overreliance on voiceover and the one-dimensionality of the lead character (all we know is that this guy really likes his noodles) cause this one to fall a bit flat. The second short, “A Little Fashion Show” (“Chiisana Fashion Show”), may be directed by CoMiX Wave 3DCG chief Yoshitaka Takeuchi, but it too feels flat. It’s the story of two sisters in Guangzhou, the elder of whom is a popular model, and it cycles through the cliches associated with that profession: a flamboyant manager, rival models who are younger and chippier, issues with eating — you name it. There’s also very little that ties the story to China — change the names of the characters and the piece could just as well be set in Japan, France or any developed country for that matter. “Love in Shanghai” (“Shanghai Koi”), the final of the three shorts, is by far the best of the lot. Directed by Li Haoling, it takes place in a shikumen lane house neighborhood in Shanghai, and is the tale of two shy middle school students who share their feelings for each other through “notes” recorded to audio cassette. Years later, one of the pair digs up an old cassette and realizes things were not exactly how he’d understood them at the time. 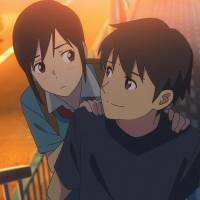 This star-crossed, time-weaving tale comes closest to replicating the charm of “Your Name.” and features the best animation too, reveling in its 1990s Shanghai setting. According to press materials, Haoliners’ Li proposed the project to CoMix Wave back in 2013 but was initially turned down. It’s not hard to see why the Japanese studio said yes this time around: China is becoming an increasingly important market for anime, and studios like Haoliners are working their way into the Japanese market, too. At the same time, CoMix Wave is no doubt itching to give viewers something while the “Your Name.” iron is still relatively hot and while its creator, Shinkai, is thinking up his next feature (can you imagine the pressure that guy is under?). But while supporting young directors and international co-production are both admirable pursuits, I wonder how many viewers will be satisfied with the flavor of these somewhat under-baked shorts.